Doodicus turned 13 earlier this month. A week ago he broke his first bone: the middle finger of his thumb. Funnily enough, he did it playing dodgeball at school. I got the call while I was at the farm visiting my mom. It was a good excuse to clear out. I had just asked her if she knew who I was. (1) She didn’t. It confirmed my suspicisons. The nurse said that Dood probably sprained his thumb, but he was in a lot of pain and it was swollen. He has a tendency to dramatize so I decided to just pop into a convenient clinic to have it examined. The doc’s guess was that he had hyper-extended it when the ball hit his hand, but they took x-rays to confirm. Both the doctor and nurse were surprised when the film developed and the bone was clearly broken. He fashioned a finger splint that he can remove when he showers, and in two weeks we will see his pediatrician to see how it’s healing up. (1) I was helping mom get together an outfit for her Christmas Party with her Red Hat Society ladies. She kept asking “What are we doing?” and I’d tell her. Over and over again she’d ask, and over and over again, I’d tell her. Even though I remained calm, inside my patience was strained. We all took her nodding and giggling as interaction and passive acknowledgement to what was going on around her. It wasn’t. It isn’t. I read the headline of an article on how documenting your day helps maintain your memory. I didn’t read it nor will I link to it for a couple of reasons. 1.) It’s so obviously true. Reading something that you wrote down based on personal experience returns you to that moment, even if it’s like looking through a hazy mirror. 2.) Because my memory is so foggy, I need to practice using it and not rely on the internet to fill in the blanks. 3.) I want to write more on what’s in my head right now; not what use to be or even what could be. That means things won’t be that interesting here because they will be garbled, hashed, and more sloppily thrown into the white space than ever before. Worse, I’m going to try literally working through lost words in my vocabulary as I type instead of depending on an electronic thesauruses. I’m tired of the words always on the tip of my tongue but never passing my lips. I’m sure that has a medical term. In fact, I know I’ve looked it up before, but I’m not going to now. I will use spellcheck, so for that at least you can be grateful. According to my TimeHop app, it was three years ago I scheduled a neurological appointment for my mom to discuss her own edge-teetering dementia. The doctor said Alzheimer’s but my sisters refuse to make that leap. There’s a difference and I suppose as an outsider you can say it’s obvious what those differences are, but I can feel it. It makes no difference when you see her hazel eyes clouded with the inability to recognize me, even if it’s for a moment or several seconds. I see confusion and hurt. At Thanksgiving, she and my six-year-old daughter, Aitch, disappeared into her room. I was busy with prepping the meal, but later Aitch said that grandma Jean sat on the floor and watched her play, giggling at her antics. There was no conversation. I think that’s why grandma slipped away. Aitch has no expectations from her grandma to answer questions about what craft she’s been keeping herself busy with, or if she’s done Christmas shopping, or has she started baking cookies. After we ate, I asked my mom who was seated at the table, if she wanted apple or pumpkin pie. She chose apple. I went to the kitchen and plated up a slice and added a dollop of ice cream. I then asked her if she wanted a fork or a spoon. She looked up and through me, her face blank, and shrugged. In that instant, I knew…I knew that she didn’t know why I’d ask her if she wanted a fork or a spoon. I calmly rephrased the question, “With your apple pie and ice cream, would you rather use a fork or a spoon to eat it?” Inside I crumbled. The mother of a friend of mine died a couple weeks ago after losing a painful battle with cancer. Following the visitation as I was walking away from the church with my husband, Sparring Partner, I must have made said something trite like “I can’t imagine what she’s going through,” and in an uncharacteristically harsh response, Sparring Partner said, “No, you can’t. Some day you will.” His dad’s death a year and a half ago still leaves him raw. The thing is I have already lost my mom. Physically she can sit beside me, warm in the way that a body pumping blood is, but she’s gone. I can’t talk to her like she’s my mom anymore. She doesn’t care that Aitch is a first grader and wants to be a clothing designer. A few years ago, she’d laugh and tell stories the hundreds magazine clippings of fashions I have glued to into tablets, or of the dozens of dress sketches I had that to were in a cardboard box in the attic. She doesn’t care that my son, Doodicus, is a year away from a school driving permit or that he went to his school dance. My son will never hear the story from grandma Jean about my first traffic ticket even though she was in the passenger seat when it happened. There’s no reflection or magnification of my pride, fear, humor in her eyes that anyone else might get when they talk about their family. For the past couple of months, I’ve been updating from my private group on Facebook. It’s not the same, but honestly, that’s not necessarily a bad thing. Since we last talked, Aitch turned five; Doodicus started the sixth grade and his grades half-way through the first quarter were all As; and I found out that November 1st will be my last day at work for the surgeon as he has opted to retire early. I’ve been a little consumed by the last point because I hate job-hunting. I mean, who doesn’t hate job-hunting, but for me, I hate it to the point I cry and get heart palpitations. 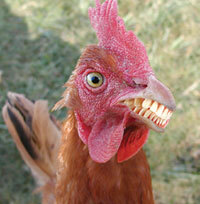 Administrative jobs in a town of 20,000 are as rare as hen’s teeth. In the past two weeks, I’ve applied for one position for which I really don’t qualify, but I figured what the hell. Actually I think the worst part is the interview. All those canned, pointless questions that the interviewer has written on a form and they write down the answers without truly even listening to what I’m saying… It’s the worst. I wish that they would just invite me out for coffee and just see if we like each other personally. Speed-interviewing, if you will. Without my job, we will also be without health insurance. For our family, the ACA is a godsend. My apologies (insincere though it may be) to those of you who disagree. I’ve never pulled punches before and I won’t start now, but the only people I’ve heard vehemently appose the ACA are those who have had their coverage provided by their white-collar employer with little or minimal contribution from their paychecks. My husband and I make a decent living and have basically been responsible for a premiums. We are a blue-collar family that pays our bills. When I was diagnosed with cancer in 2010, we paid our medical bills in full and on time. And then after that, I was uninsurable unless through an employer, and I had to wait a year to even be eligible for benefits. I’m tired of hearing from friends and family through my social media contacts that the ACA is meant for deadbeats and people who don’t pull their weight economically. They are narrow-minded, candy asses. With that, I bring you this in keeping with current events. It’s brilliant. It comes from Brian Krewson at “the metric ruler“.